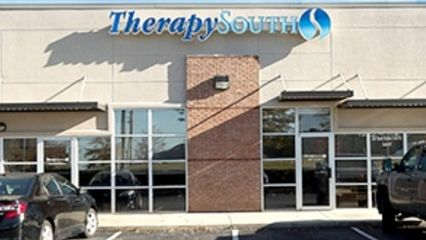 TherapySouth is a therapist-owned, outpatient physical therapy practice, with 25 convenient locations, that specializes in personalized, hands on care. Ryan is a 2014 graduate of the UAB Physical Therapy Program. He currently serves as director of the Hoover clinic. He earned his B.S. Degree in Athletic Training from the University of Alabama in 2010 and was a part of the athletic training staff on the 2009 national championship football team. In addition to treating patients at the Hoover clinic, he works as a Certified Athletic Trainer to provide several local high schools with on-site medical coverage for sporting events. He also works in conjunction with the UAB athletic training staff to provide physical therapy services to UAB's student athletes. Ryan is a Level 3 Certified Dry Needling Practitioner and he is currently completing his Manual Therapy Certification, which he began in February 2018. Ryan grew up in Hoover but currently lives in Trussville, Alabama with his wife Erin and son Thomas. In his spare time, he also enjoys golf, skiing, reading, and playing the piano. Wesley grew up in Columbus, MS, went to The University of Alabama, and then moved to Birmingham for PT school at UAB in 2008. He has worked at TherapySouth – Hoover since 2011. He has a Manual Therapy Certification, and is Level 3 Dry Needling Certified. He enjoys worshiping Jesus and telling others about Him, discipling others, spending time with friends and family, playing tennis, soccer, football, and spikeball, reading, and traveling. I have been given opportunities to pursue certifications in Graston Technique, functional dry needling, and manual therapy, which has allowed me to provide a unique set of advanced skills to treat musculoskeletal issues and soft tissue dysfunction. You will find that our therapists are interested in getting to know individuals personally, while providing unique “hands on” care. Finally, it is in the mission of Therapysouth to give back to the community. Because of the way that God has blessed us individually and as a company, you will find that Therapysouth’s influence extends beyond the doors of a building into community events, charity opportunities, and a variety of areas of service. It is our pleasure to get to know you and provide you with the confidence to reach your personal goals. Beth graduated from the UAB physical therapy program in December 2017 and joined the Hoover staff in May 2018. She enjoys treating patients everyday and is currently pursuing a Dry Needling Certification. In her spare time she enjoys reading, hiking, and hanging out with friends. Doug is a 2001 graduate of the University of South Alabama Physical Therapy Program. After graduation, he began practicing in Mobile, Alabama, as a physical therapist for HealthSouth. He continued his career with HealthSouth and subsequently Physiotherapy Associates in Birmingham, Alabama, but the allure of private practice led him to partner with Steve Foster, PT, in 2006 to start TherapySouth. In his present role with TherapySouth, Doug continues to treat patients daily at the Hoover location on South Shades Crest Rd. in conjunction with serving as Vice President of Operations for the practice. Doug is a Board Certified Clinical Specialist in Orthopedic Physical Therapy (OCS), as well as a Certified Dry Needling Practitioner. He is also involved in working with local business and industry to promote safety and wellness. Doug has developed numerous job descriptions, post-offer tests, and safety programs to assist in keeping workers safe and on the job.